It can be hard for parents to keep up with social media trends and sites used by teens these days. One of the more popular sites for blogs, photos and other social content is Tumblr. 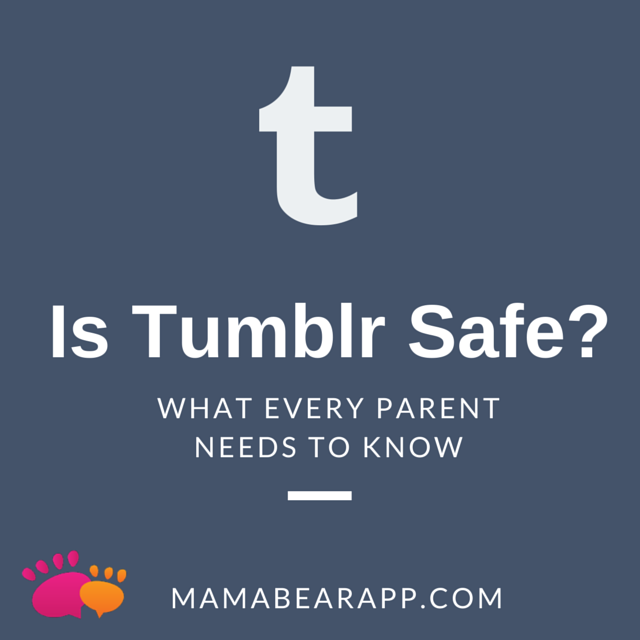 In this post, we will tell parents what they need to know about Tumblr, a rapidly growing content-sharing site commonly used by teens. It looks harmless on an initial review, but it has some hidden dangers every parent should know. Tumblr is often described as a “micro-blogging platform.” It is similar to a regular blog in that users can share “posts” that include a variety of media such as text, links, photos, gifs, audio, and video. It is called a “mirco” blog because each post is usually shared in snippets, content that is much shorter than a standard blog. Tumblr users can post to their blog, view posts from users they follow in their feed, and “reblog” posts from other users. Tumblr is popular among teens and growing fast. Tech Times reported that in six months, Tumblr increased its active users by 120%. According to a report by Pew Research Center, many of those new users are girls. Just 5% of boys use the platform compared to 23% of teen girls. It’s likely that your teen, especially your teen girl, is using the platform or will be soon. Is Tumblr Safe for Teens and Should I Be Concerned? All primary Tumblr profiles are public. There is no way to mark a profile or entire primary blog as private. To create a private blog that is password protected, users need to set up a secondary blog. So even if your child creates a secondary private blog, their original primary account will always be public. Tumblr has adult content. The site allows users to post explicit content on their blogs. While they do request that users tag their blogs as “adult-oriented” when it includes adult-themed content, they can’t guarantee that content will always be accurately tagged. It is possible that adult-themed content can slip into your child’s feed. What Should I Teach My Teen About Tumblr? Show them how to hide adult content. Users can set their search so explicit content will not show in their search results using these directions from Tumblr. Teach them how to mark their posts as private. While all primary profiles are public on Tumblr, users can set individual posts as private as a way to protect their information. Explain how and when to block other users. Remind your teen when they should block someone and how to protect themselves from online strangers. Then, teach them how to block users when they need to. Tell them you need to be involved. Parents should let their kids know that they need to be involved in their social media world. Let your kids know you will be reviewing what they post on Tumblr, not to snoop but to keep them safe. Parents can also use MamaBear, the app for Peace of Mind Parenting™ to stay connected to their kids and review the activity happening on their social media accounts. The free app available is for iPhones and Androids and includes easy to use versions for parents and teens. This is a good article about Tumblr so that parents can monitor if their child is looking at something bad at tumblr. Internet sites should be monitored by the parents so we know if our children are safe with the dangers of social media. Tumblr should create a different URL, something like ‘testtpage.adult_tumblr.com’, and move all adult content there, rather than hiding it. Also have no automatic linking between ‘regular’ tumblr and ‘adult’ tumblr.